Transcend introduces body-mounted cameras that are tough enough for rugged use, perfect for our police and armed forces. Part of the government’s modernization process for armed forces and police in the Philippines is the inclusion of a body-mounted cameras. 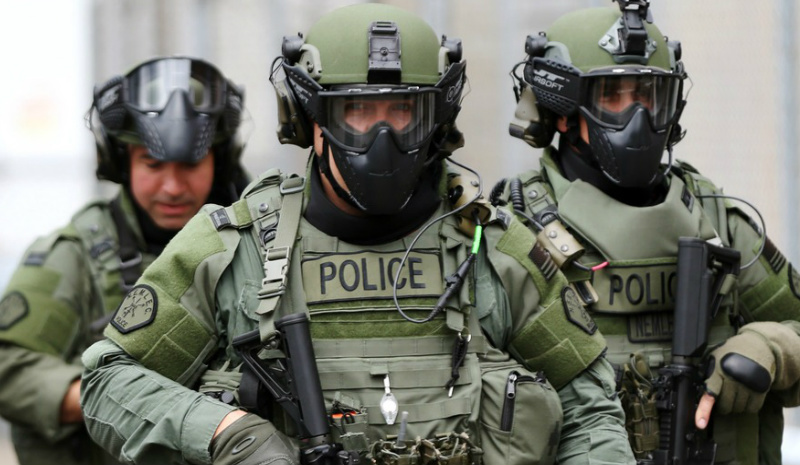 These “bodycams” will be classified and included it an official part of the uniform together with other tactical gear like a service firearm, a pair of handcuffs, and a combat baton among others. This addresses the concern for transparency of apprehending suspects for the police or armed forces during raids or sudden encounters. Luckily Transcend is providing the best technology available today. Transcend Information, Incorporated, a leading manufacturer of storage and multimedia products, is proud to announce the release of its DrivePro Body 20 and DrivePro Body 52 body cameras. Both cameras feature 1080P Full HD video recording, a built-in Wi-Fi function, a snapshot button, long battery life, and non-removable 32GB internal storage with high-quality MLC flash chips. Transcend’s DrivePro Body 20 and DrivePro Body 52 body cameras are both shock and IPX4 water resistant, ideal for military, government, law enforcement, and private security. In addition, Transcend is also releasing a 6-port docking station to streamline multi-camera management, file upload, and charging. Designed for military, law enforcement, and private security applications, Transcend’s DrivePro Body 20 and DrivePro Body 52 body cameras are the clear choice for rugged, secure, and dependable evidence collection with exceptional picture quality. Both cameras feature 1080P Full HD video recording, large aperture, wide-angle lens, and a convenient snapshot button. In addition, both cameras boast built-in Wi-Fi for live-streaming on mobile devices via Transcend’s exclusive DrivePro Body app, available for both Android and iOS devices. The Transcend DrivePro Body 52 features a compact camera unit attached via a flexible 1.2 meter cable to the main unit, allowing for a wide variety of wearing options. A 360° rotating clip mount and a Velcro mount are bundled to accommodate multiple camera mounting requirements, and a high-quality belt holster is also included to hold the DrivePro Body 52’s main unit. 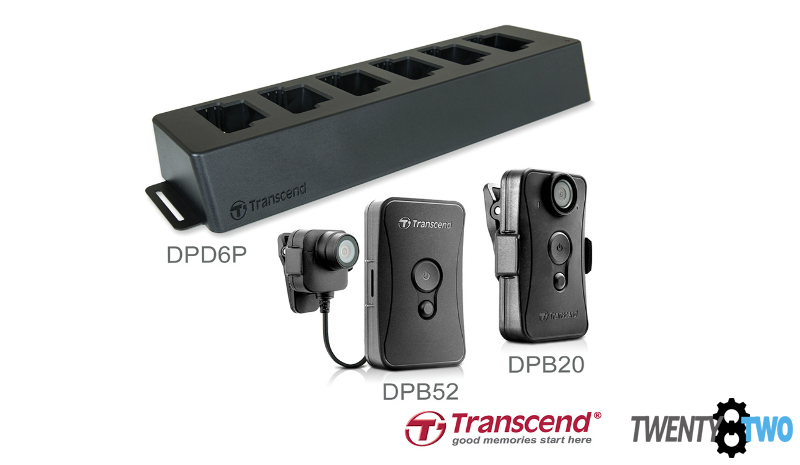 For users with multiple DrivePro Body 20 and DrivePro Body 52 body cameras, Transcend’s 6-port docking station offers an optimized camera management solution. The dock is equipped with an auto upload function*, capable of automatically uploading recorded files while charging. Users can also daisy chain up to 3 docking stations in series using just one USB port on a workstation, allowing up to 18 cameras to charge and upload at the same time, increasing efficiency and reducing downtime. *DrivePro Body Toolbox is required to use this function.